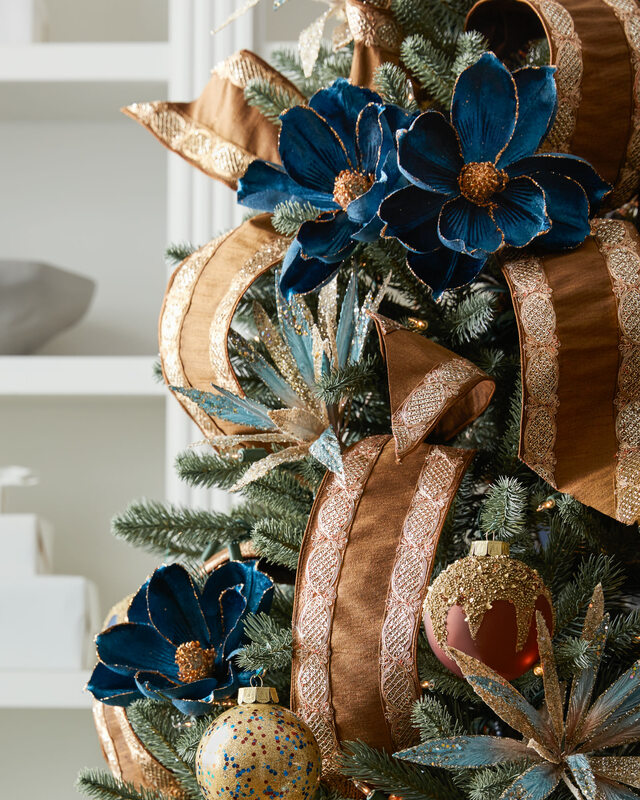 An acclaimed floral artist and holiday design mastermind, Brad Schmidt builds bold and beautiful arrangements for any occasion. 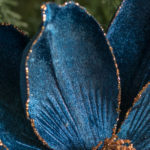 He has designed massive floral events for award shows, corporate parties, celebrity functions and residences, showrooms, and even floral shops. 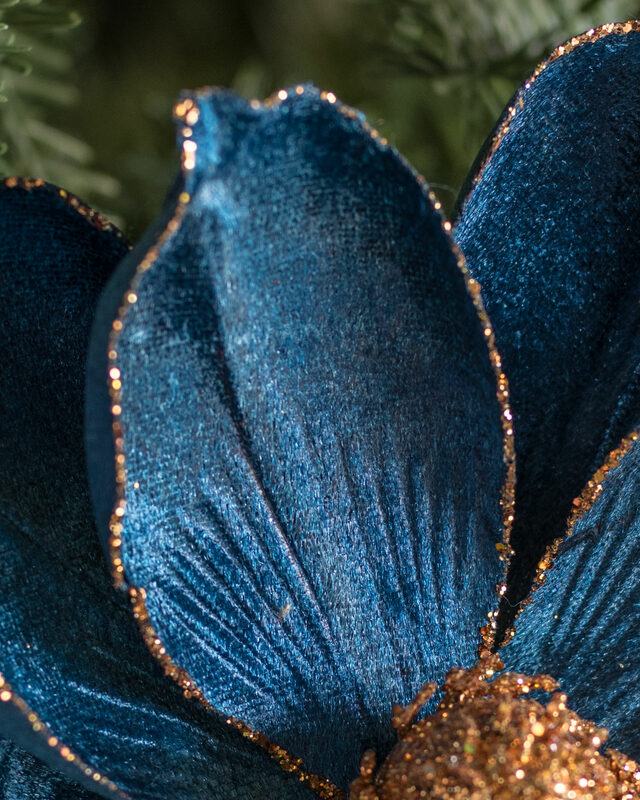 Using fresh and artificial products, Brad creates jaw-dropping floral décor for companies all over the world. 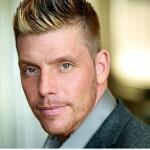 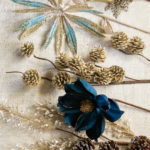 His magic touch and rare talent allow him to produce stunning arrangements that evoke a feeling of wonder. 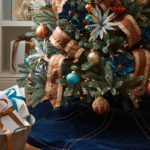 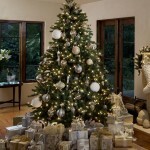 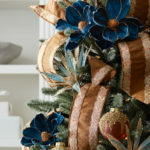 This Christmas, bring an air of New England opulence and rich history to your home with the Georgetown Decorating Theme. 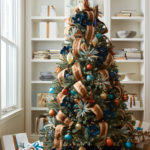 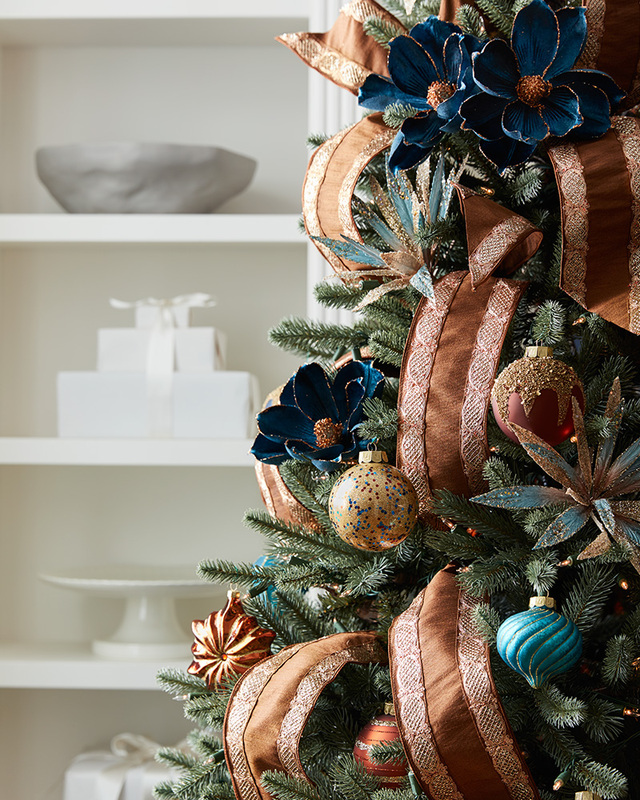 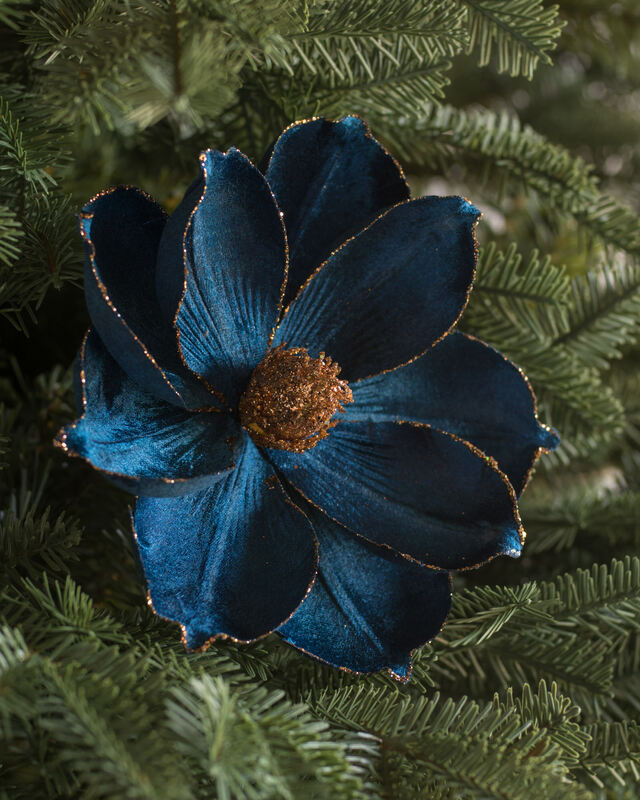 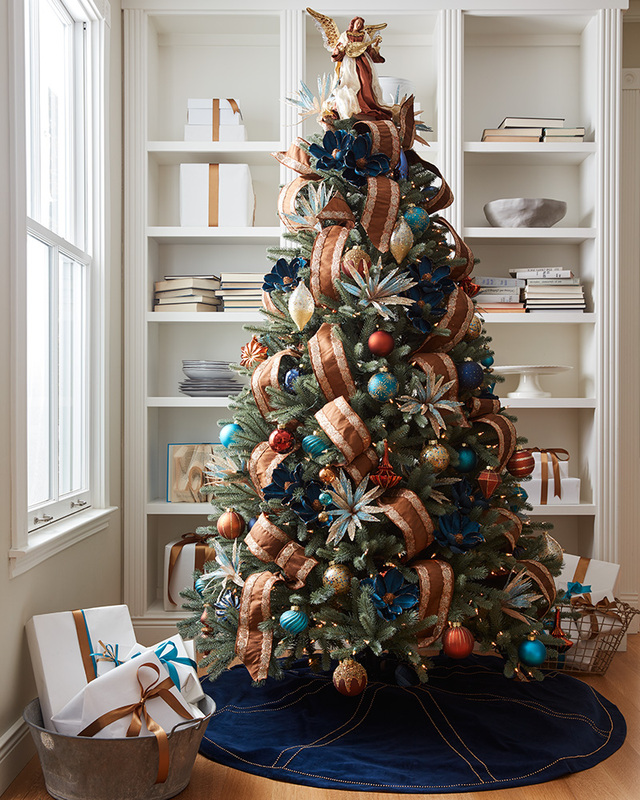 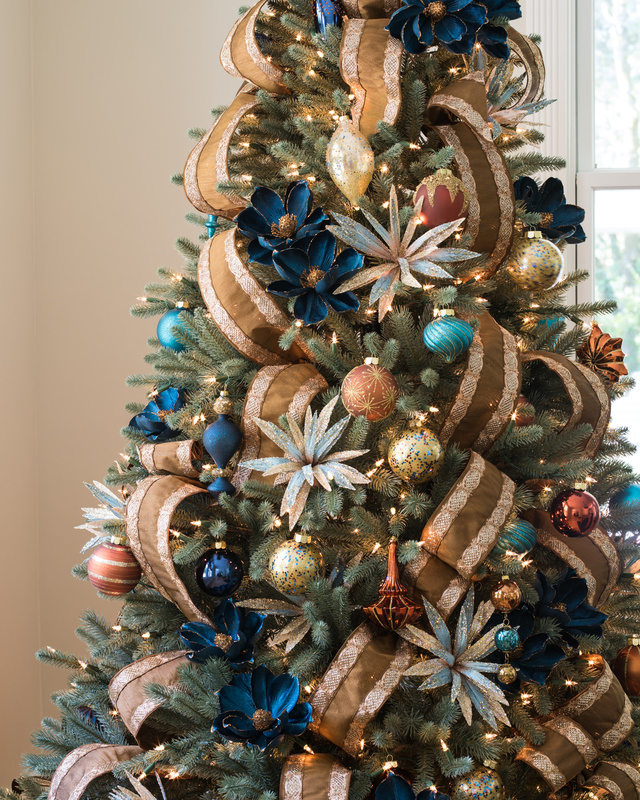 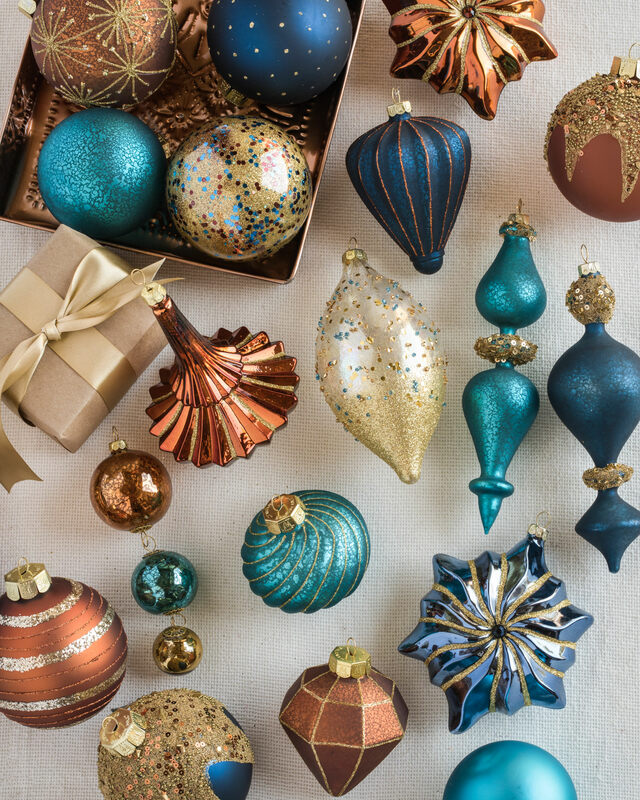 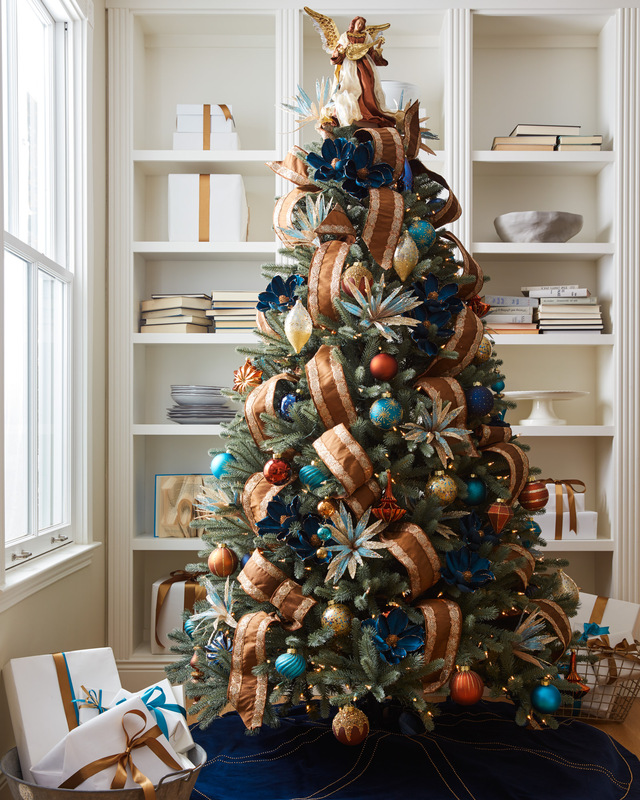 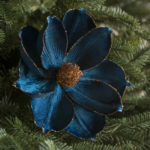 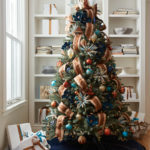 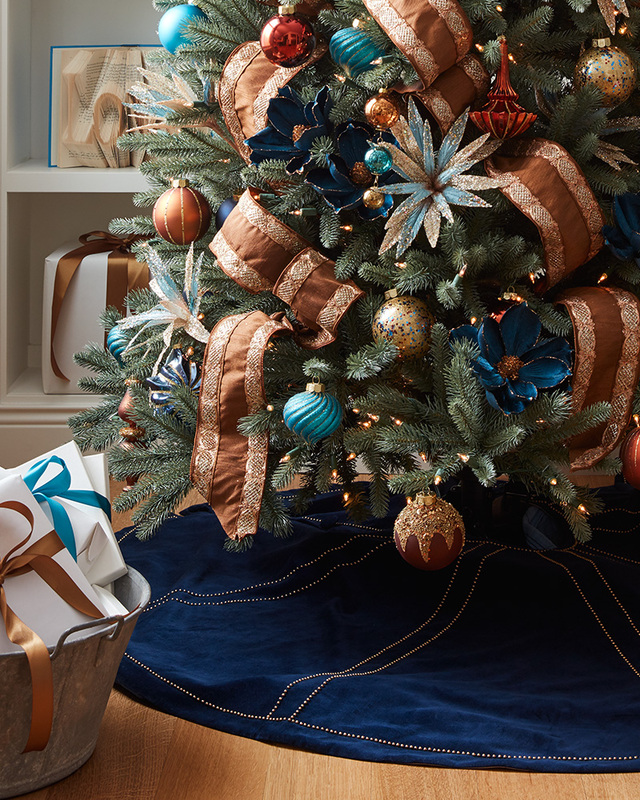 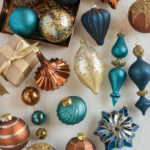 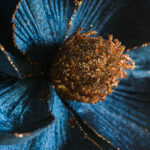 The dense, verdant foliage of the Balsam Hill Blue Spruce provides the perfect backdrop from the bold, dramatic navy, turquoise, and copper hues distinctive to the Georgetown theme. 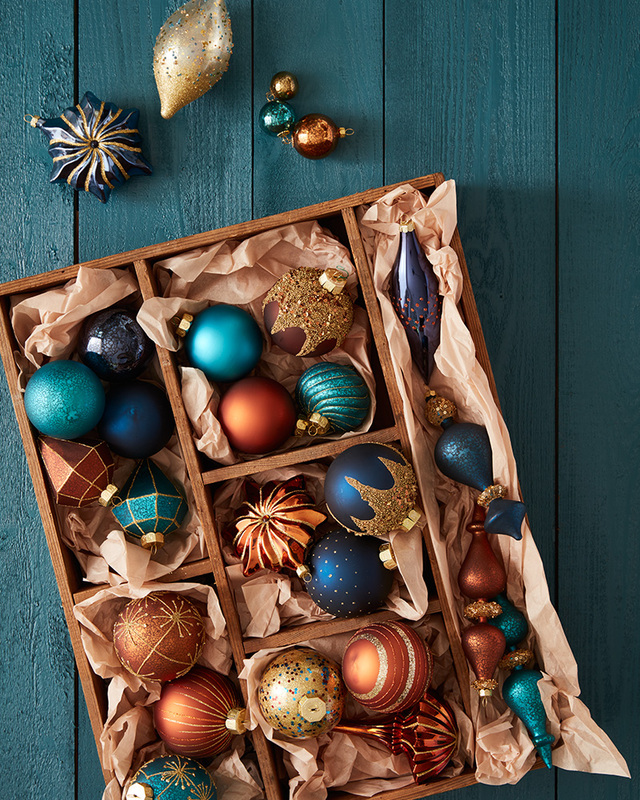 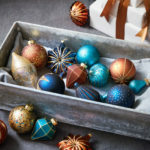 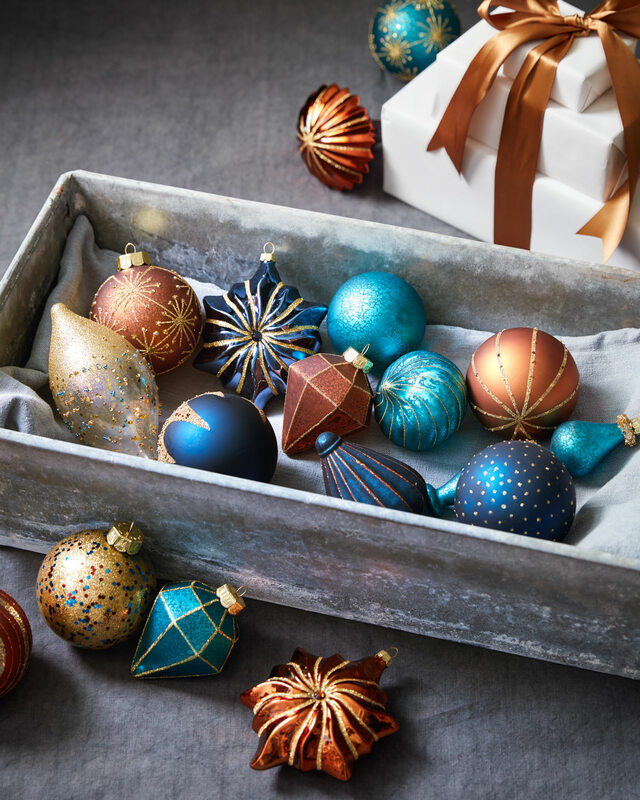 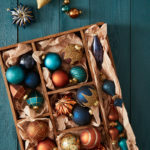 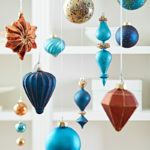 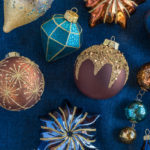 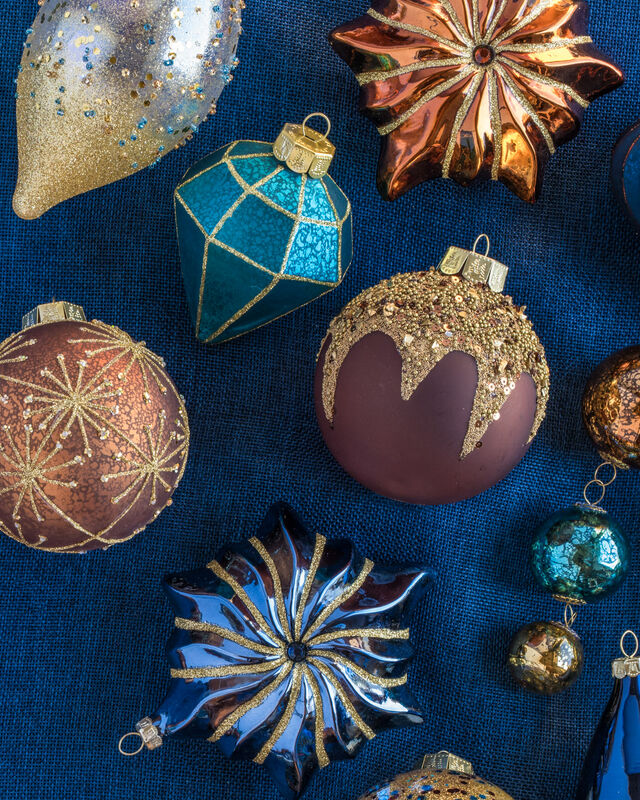 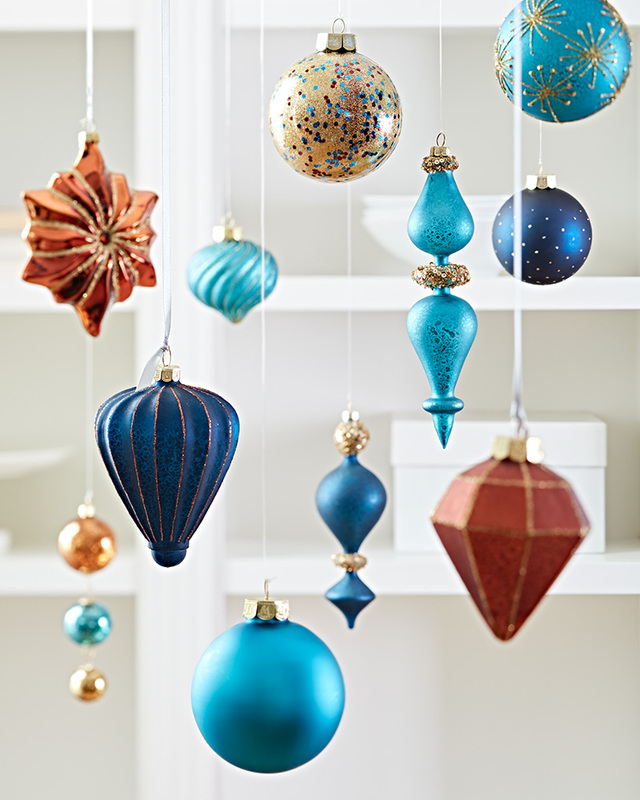 Decorate the branches of the tree with a medley of hand-painted glass balls, teardrops, and finials from the Georgetown Ornament Set. 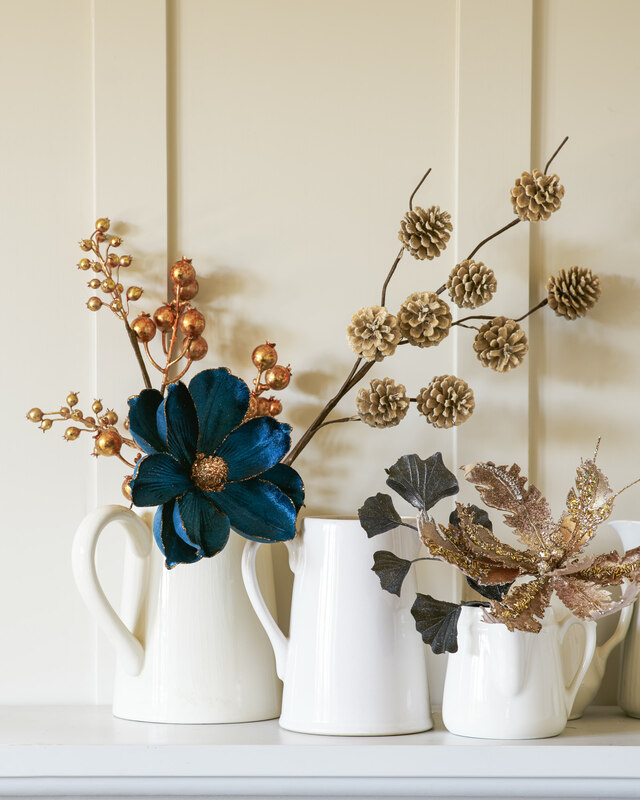 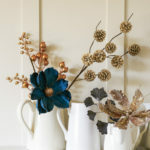 The secret to recreating the Georgetown theme is to cluster the Navy and Copper Magnolia Picks to create focal points. 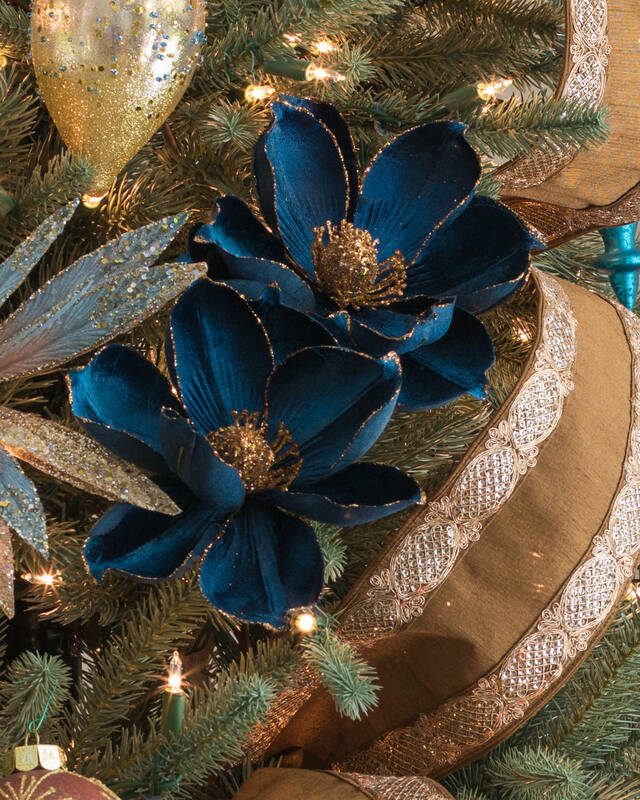 To ensure the picks stay in place, bend the end of each stem to form a hook, then secure the hook within the inner branches of the tree. 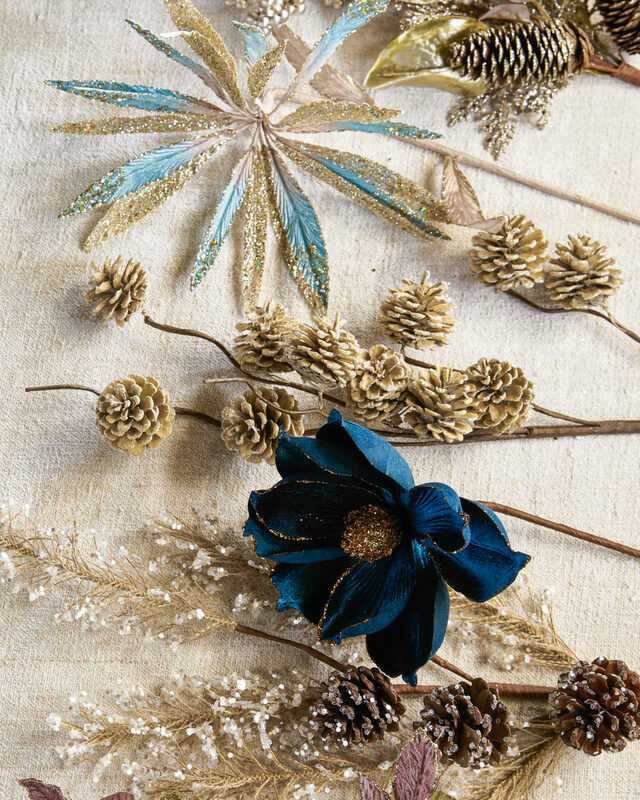 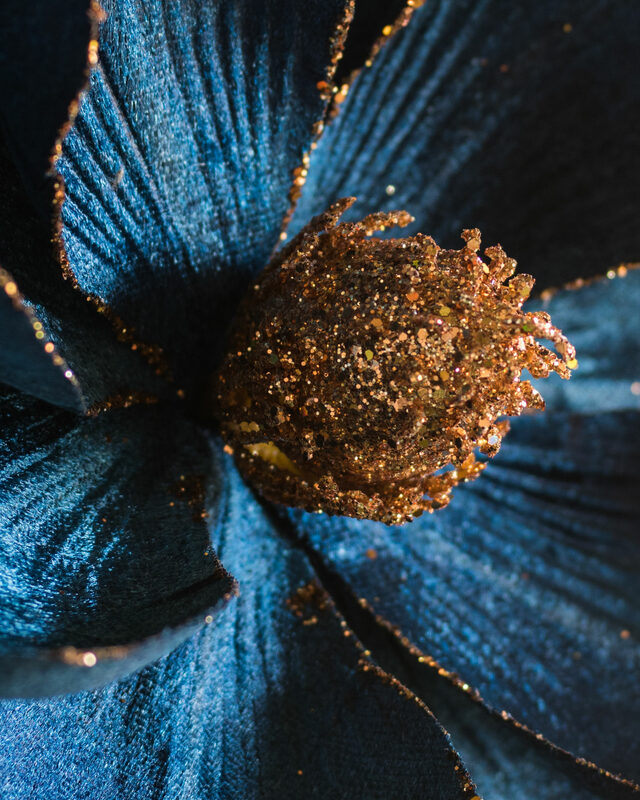 Add the Arctic Blue Champagne Glitter Picks for a touch of frosted, floral elegance. 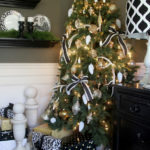 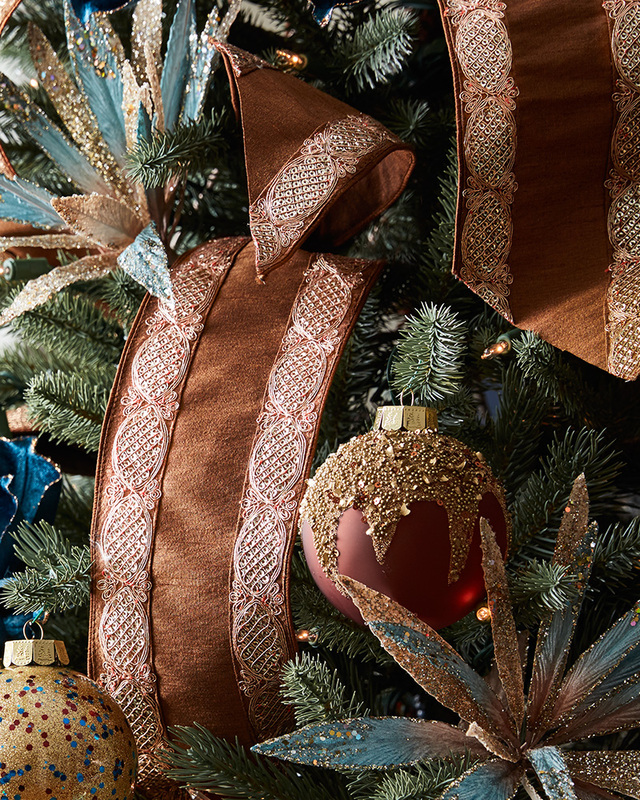 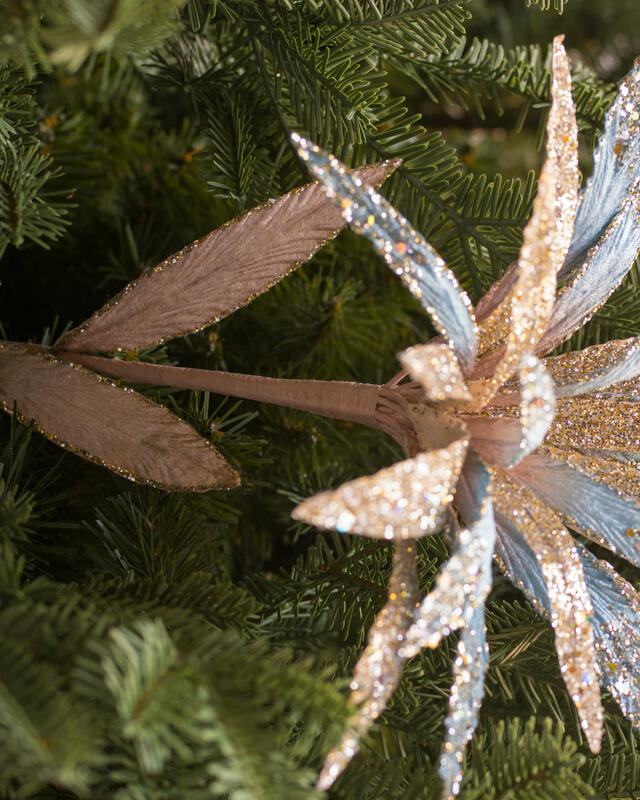 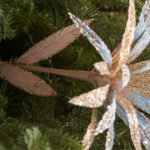 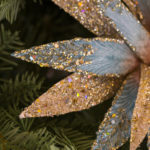 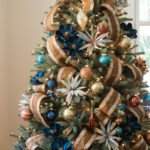 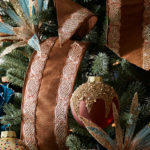 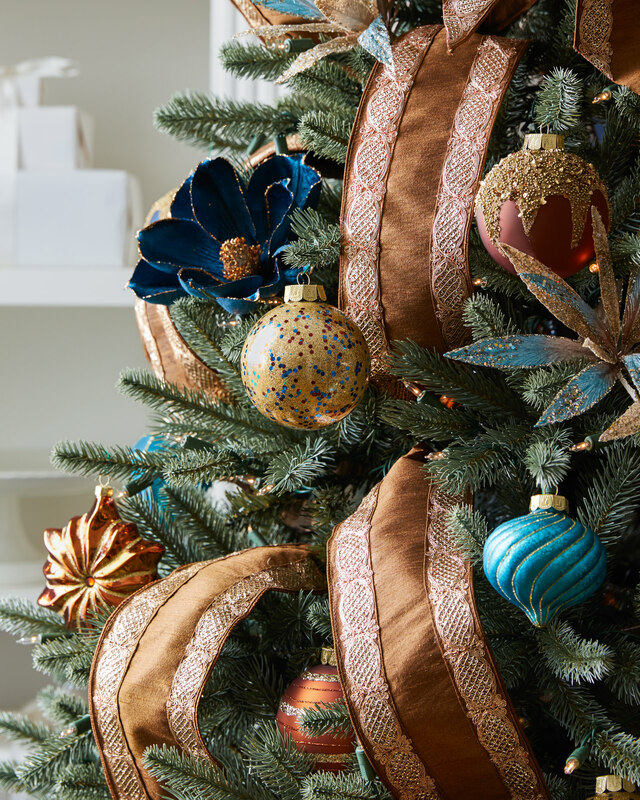 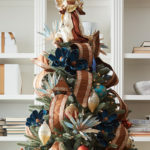 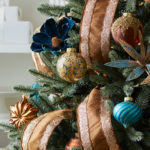 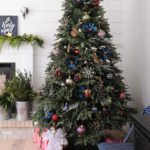 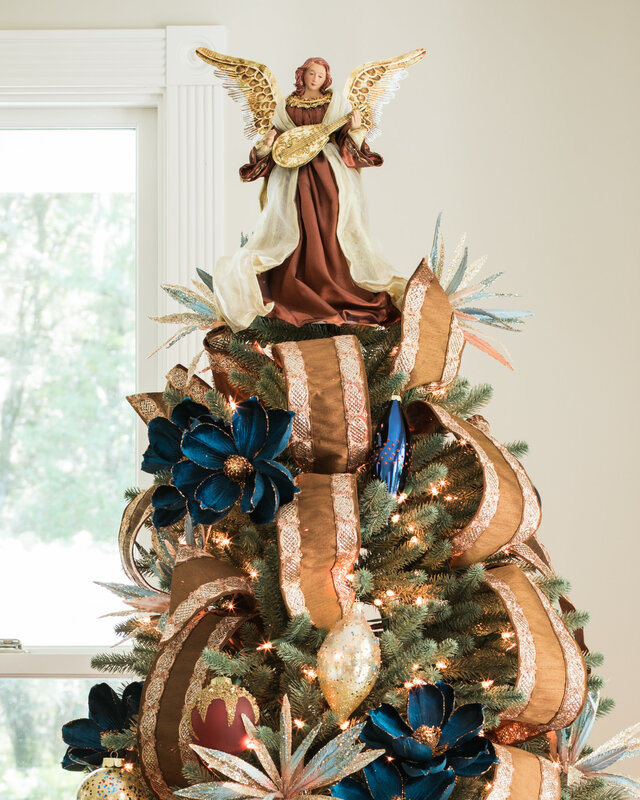 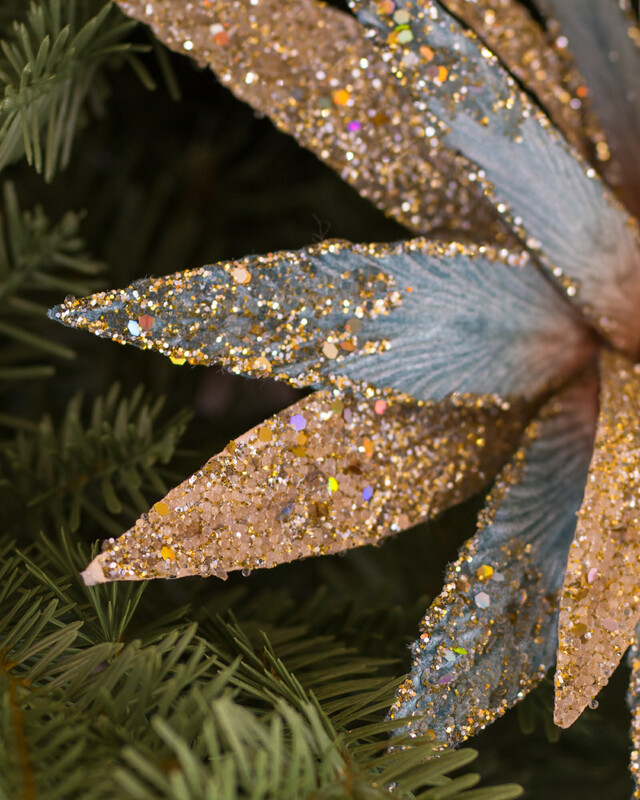 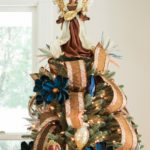 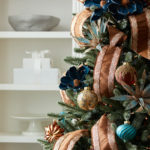 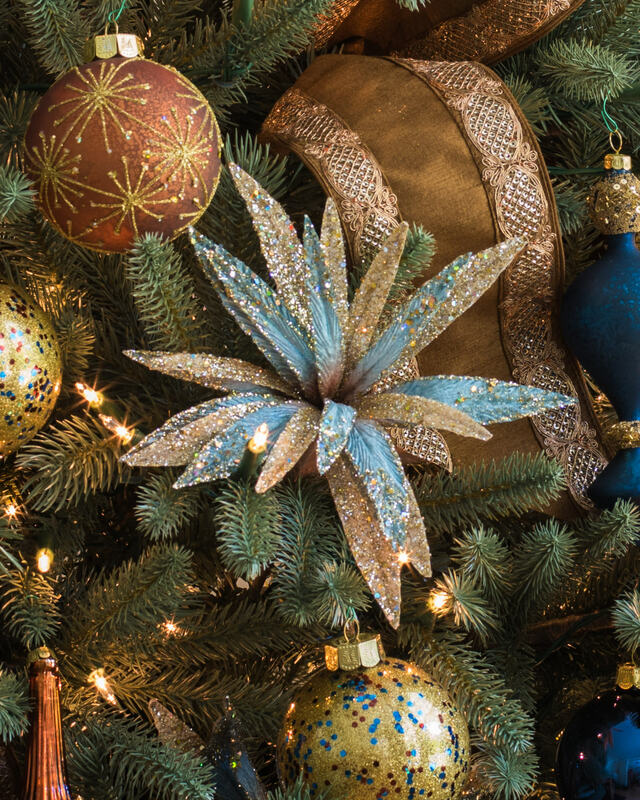 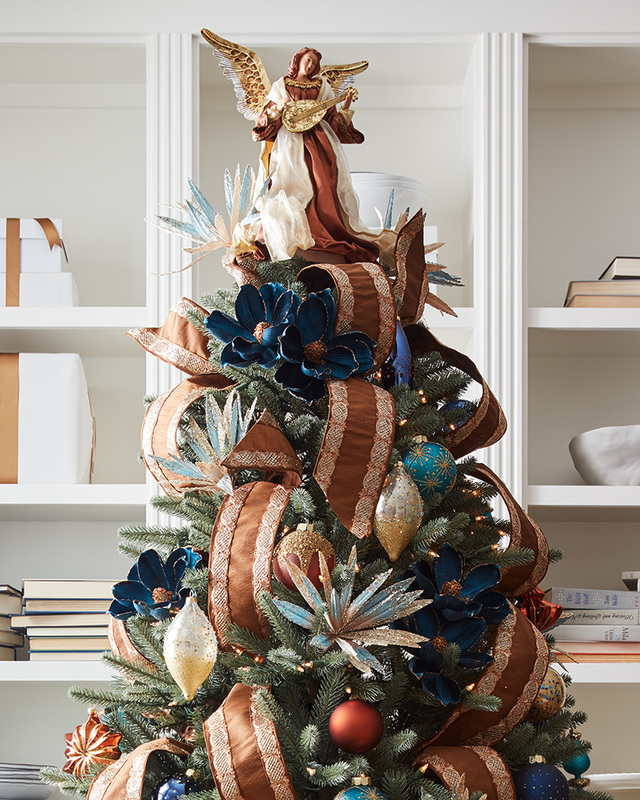 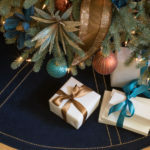 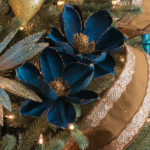 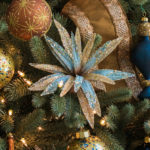 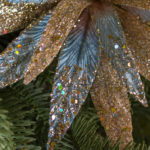 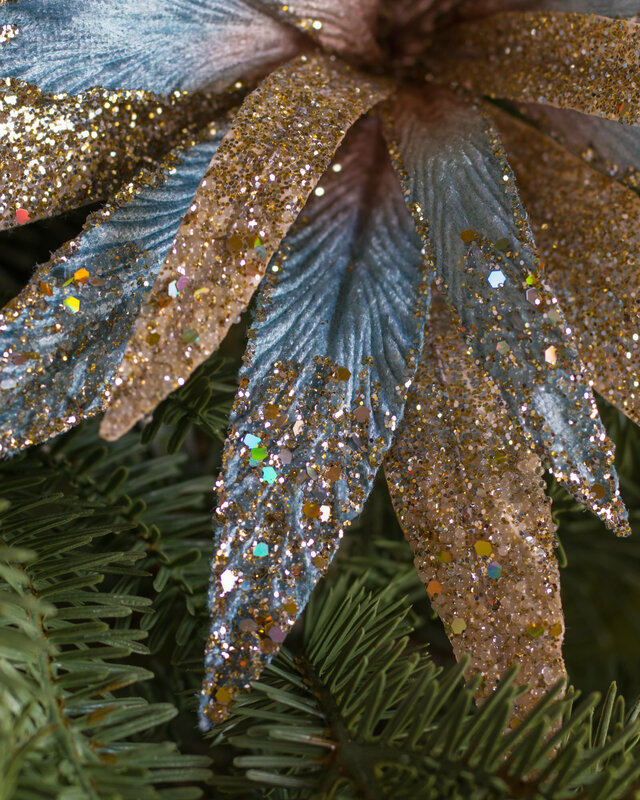 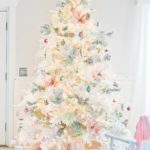 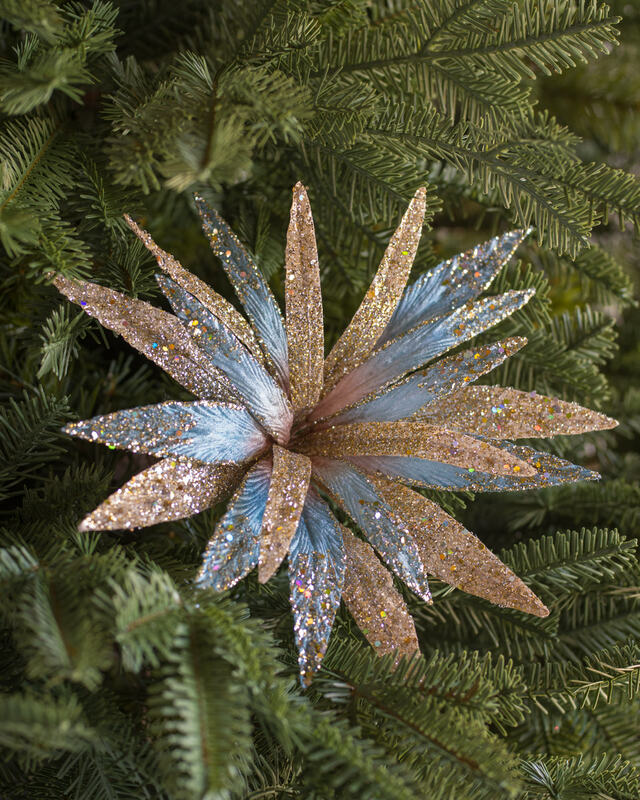 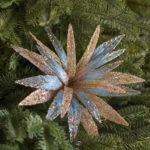 Next, weave the Embroidered Bronze Dupioni Ribbon throughout the branches, and top the tree with the Balsam Hill exclusive Bronze and Gold Christmas Angel Tree Topper. 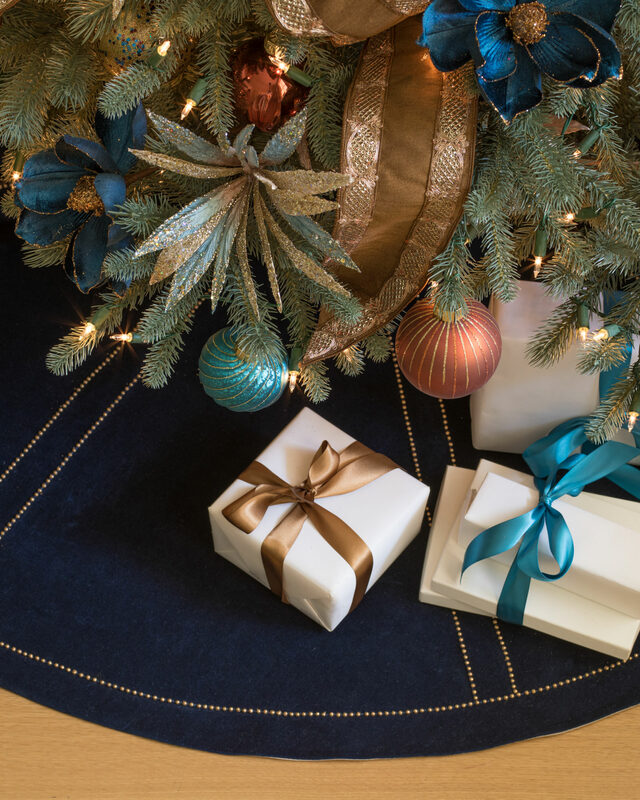 Finish the look with the understated yet polished Studded Velvet Tree Skirt in navy blue.